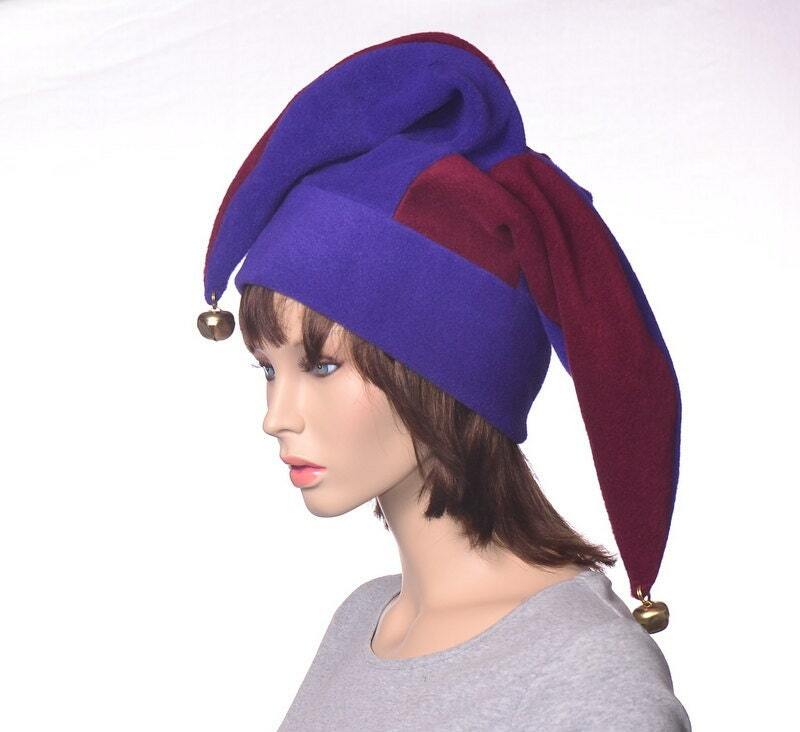 Warm fleur-de-lis royal purple and maroon hat. Made for the carnivale season! Made from fleece, with each point having a purple panel and a maroon panel. Double thick purple headband. 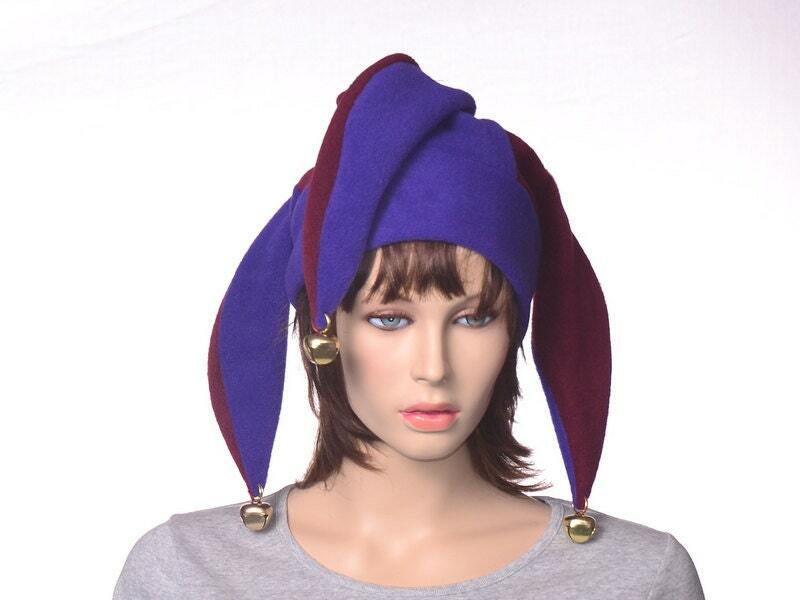 This is a three tail jester hat made in the joker style. Each point is finish off with a large gold bell. One size fit most, fitting heads between 22-24 inches.